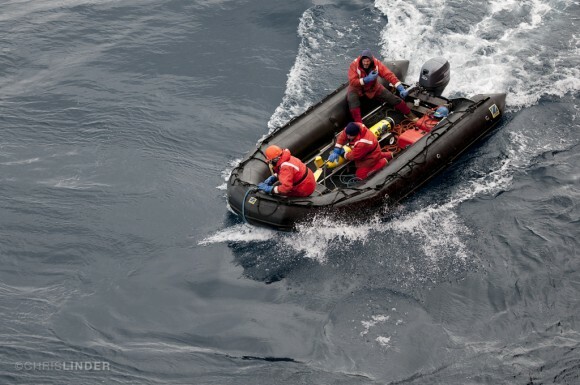 Share the post "Blogging from Antarctica: Robot Splashdown Over the Palmer Deep"
From late December through early February 2015, Project CONVERGE scientists are living at Palmer Station, Antarctica, to study the food chain that supports everything from phytoplankton to krill to penguins. Faculty and students from the Department of Marine and Coastal Sciences are members of this team project, which brings together scientists, teachers, evaluators and science communicators to share the science with middle school students. Read the daily project blog for firsthand stories and photos about research and daily life on the remote Antarctic Peninsula. Read the latest post on the launch of the underwater gliders.